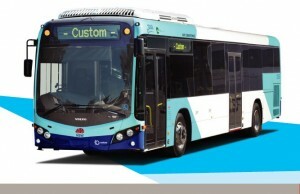 Bus maker Custom Coaches has announced that it will close its South Australian operation in eight weeks. According to a report by ABC, 75 workers will lose their jobs, while the Government of South Australia might have to look other bus makers after Custom Coaches puts the lock on its Royal Park facility. The SA Government has signed a five-year contract with the company for supply of buses for the Departments of Transport and Education. “We’re informed by the administrators that they will still provide those vehicles but that they may be subcontracting to do that,” said SA Manufacturing and Innovation Minister Susan Close. The company announced that it will continue to operate in New South Wales, however those that are about to lose their jobs might face difficulties trying to find new employment as buses will no longer be made locally in SA. “I’m not sure what sort of work they will be ready for given that nowhere builds buses in South Australia once Custom Coach closes,” said Scott Batchelor of the Australian Manufacturing Workers Union (AMWU).